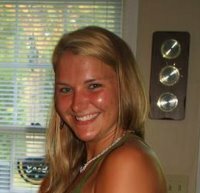 Our thoughts today with Aimee Copeland, the 24-year-old University of West Georgia graduate student who is fighting a very public battle against necrotizing fasciitis at Doctors Hospital in Augusta. Copeland suffered a deep gash to her leg in a zip-lining accident on May 1. By May 4 the wound had become infected with the rare flesh-eating bacterium Aeromonas hydrophila. She was rushed to the hospital, where doctors amputated most of her left leg and worked to stop the potentially deadly infection from spreading. Hyperbaric oxygen therapy, begun last Wednesday, failed to salvage her remaining foot and both hands. Copeland remains in critical condition. Hyperbaric oxygen can be a potent bactericide and also treats the hypoxia at the root of soft tissue necrosis. One analysis [Undersea Hyperb. Med. 2005 Nov-Dec; 32(6):437-43] showed significantly fewer deaths and amputations with HBOT. As the [UHMS] writeup concludes: “With such strong case series evidence of reductions in morbidity and mortality for necrotizing fasciitis and the subset of Fournier's Gangrene, it is difficult to envision ever seeing a controlled, double-blinded study of hyperbaric oxygen therapy.” In other words, considering the deadly seriousness of necrotizing infection and the demonstrated effectiveness of HBOT, withholding treatment from a control group for comparative study would not be medically or ethically acceptable. As antibiotics and other traditional weapons against these worrisome microscopic invaders begin to weaken, HBOT provides a vital backstop. Keep track of Aimee's condition on Facebook.